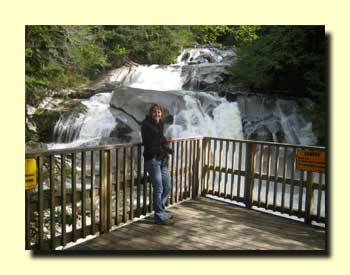 From Wells Gray we headed north to Mt. 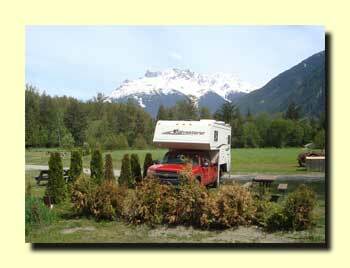 Robson and then west to Bella Coola, a trip we've wanted to take for years. 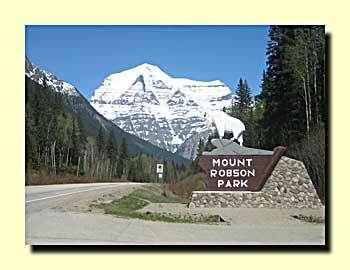 Mount Robson is Canada's highest peak. 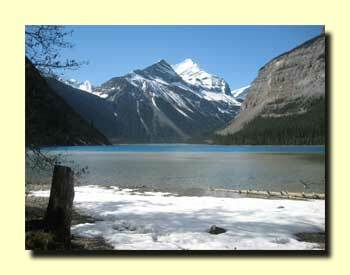 It's on the western edge of the Rocky Mountain chain, as far east as we'll be going for now. As you might guess, that's Mt Robson dead ahead. 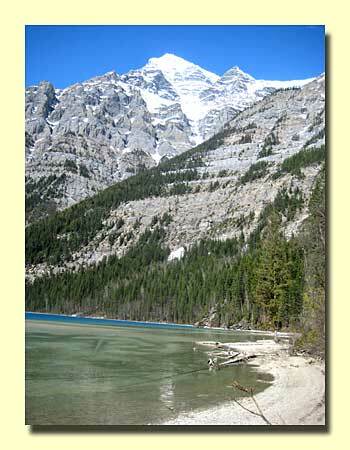 The most popular hiking trail in the park is the Berg Lake Trail. 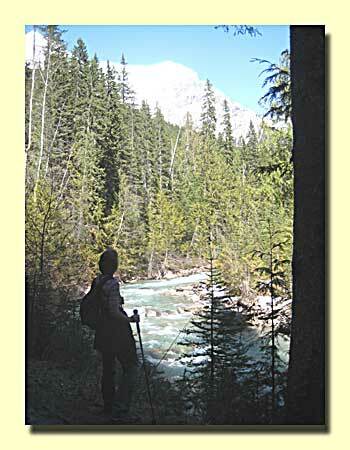 Some say it's the best hike in the province. 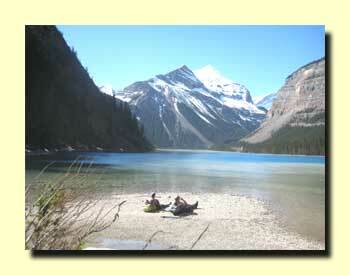 We only walked as far as Kinney Lake. There was quite a bit of snow on the lower trail, and reports of much more above. 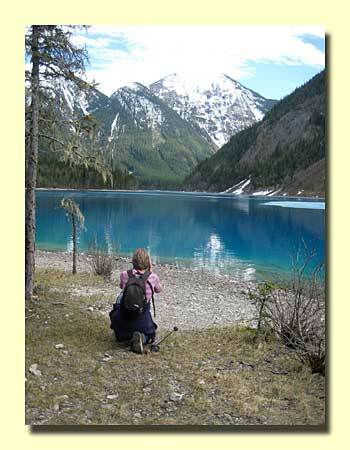 The glacial lake was so blue under a clear sky that the color was hard to get right in a photograph. But we tried! Some snow around the lake, and a light skim of ice at one end. 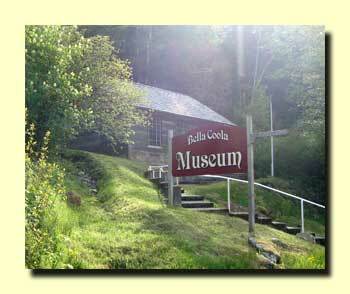 Bella Coola is on the coast. From Williams Lake it's 280 miles out and 280 miles back. That's a big commitment in time - and diesel. For us the best part was the drive itself. 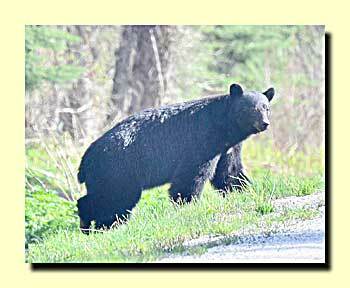 Lots of wildlife. And then there was "The Hill". 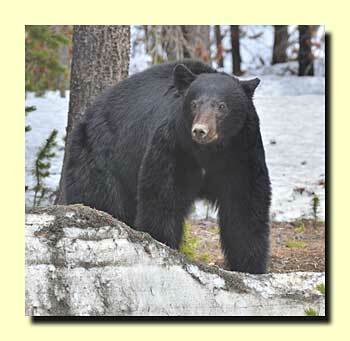 Tweedsmuir Provincial Park, which you pass through east of Bella Coola, has an extremely high concentration of bears - blacks and browns. 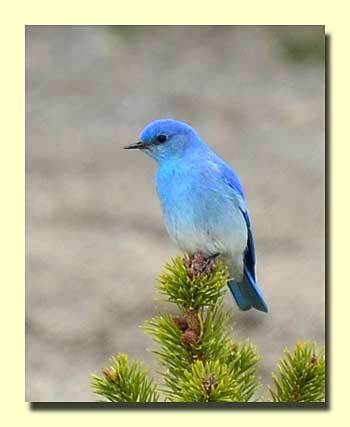 So does the Bella Coola valley. 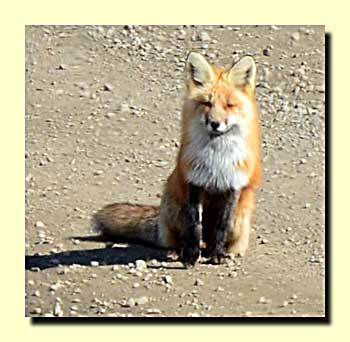 This guy was right at the bottom of The Hill, waiting to welcome us to the valley. 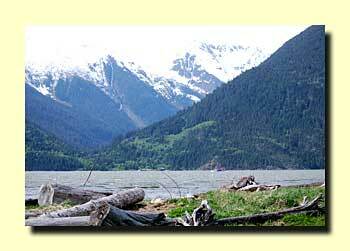 The Bella Coola Valley has two main towns, Bella Coola itself and Hagensborg a few miles to the east. All of the commercial campgrounds are in Hagensbord. 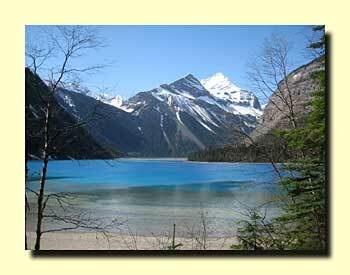 The town is located far inland from the Pacific, at the end of the 60 mile long Burke Channel (really a Fiord). That's OK. 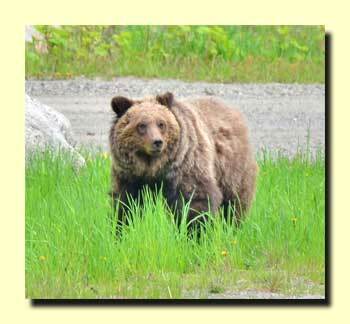 Most people come to Bella Coola for the fishing, and to see the bears. The most interesting part of the drive is the hill. 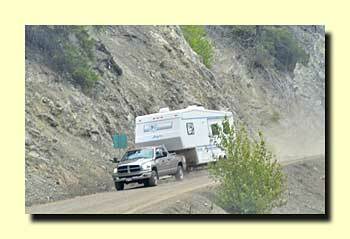 It's no problem if you're in one of those zippy little cars, but for RVs it's a challenge, particularly going down. The Hill descends from about 4,800 feet to a little over 1,000 feet in 20 kilometers. 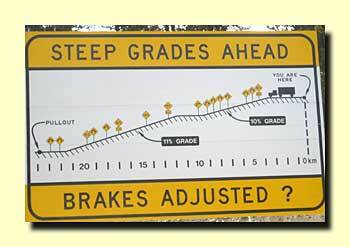 There are many kilometers of 11% grade, and some short sections are said to be 18%. There are also some very tight hairpin curves - with no runaway ramps. 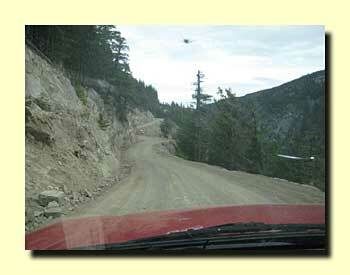 This section of the highway is gravel, it's part of a 37 mile section of gravel from Anahim Lake to the bottom of The Hill in the Bella Coola Valley. This was the largest rig we saw in Bella Coola. Actually, we met him coming down as we were driving out. We could smell his brakes for a mile after passing him.